• The Deep Blue Pro is a powerful mini-submersible with a robust time-tested design that’s ideal for professionals and recreational divers. 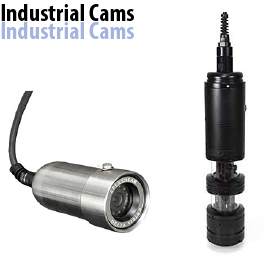 • Delta Vision Industrial allows you to get the best possible images with worry-free deployment. This is the most versatile camera. 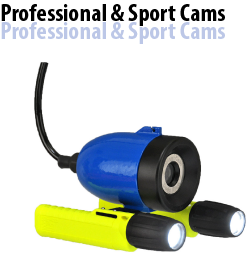 You’ve got multiple choices of quality HD underwater video cameras: Deep Blue HD, Deep Blue HD TVI and Delta Vision HD underwater cameras. • The Deep Blue HD can provide exceptional video clarity and light sensitivity, full 1080i video of depths of 300 feet below surface. • The Deep Blue HD TVI is a more economical choice that still comes with an extremely rugged design and exceptional video clarity. • The Delta Vision HD offers 1080p HD/30FPS video. And, no matter how harsh the environment, you can count on flawless viewing.